Peter Bryer: Mobile Foresight: Just released! 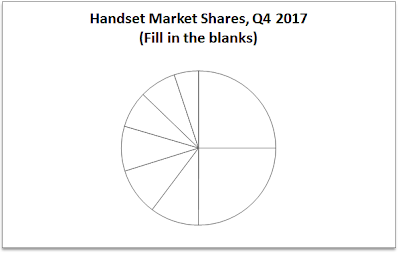 Market shares: Q4 2017. The future history of the handset industry. Interesting post. The one truth in technology, is that no one rules supreme forever. 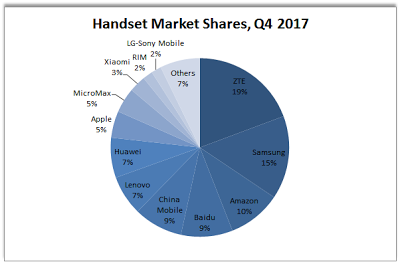 I wrote most of this post back in the Spring when Samsung unseated Nokia as the market leader in terms of volumes. Thanks for the link Jukka. Interesting post.